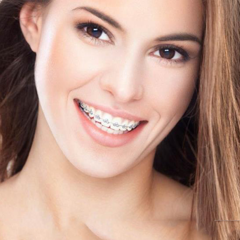 Braces are one of the most popular cosmetic orthodontic solutions. 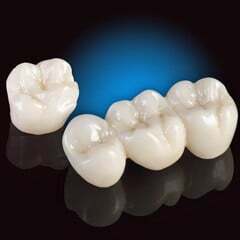 This method overcomes defections of the teeth such as: deviated, crooked and sparse teeth, retrusion, protrusion, etc. Besides factors like orthodontists skill and location of the dental clinic, the price of braces is also a top concern of those who intend to acquire this service. 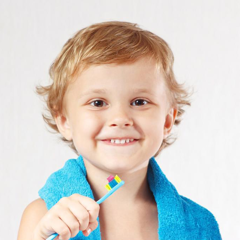 Dental braces is a complex procedure in dental orthodontics. Careful analysis of the clinical status of each patient is required to provide an appropriate method, tools and treatment duration. 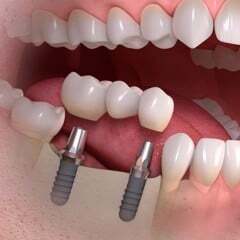 A successful braces procedure help patients recover their chewing capability as well as oral aesthetic. 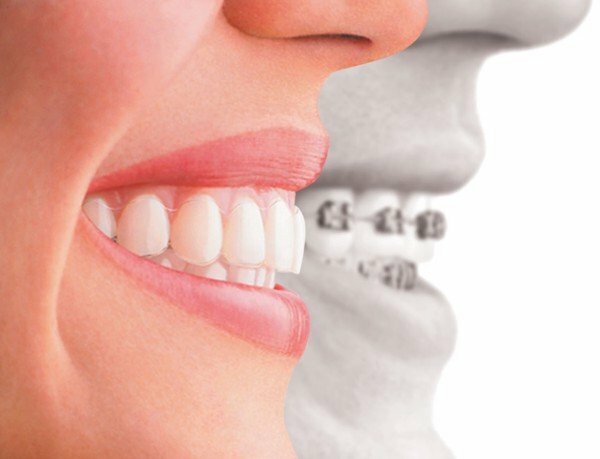 So, before researching about the price of braces, you should pay special attention to the skill of the doctor who will treat you as well as the clinic technology, equipment, and braces tools in order to attain the best result. Currently, there are plenty of dental clinics in the market, however, to choose a reliable clinic with a team of highly skilled doctors is not easy. 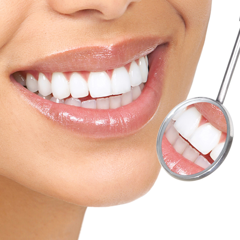 The price list of each dental clinics is also different, depending on the material, methods, reputation of the clinic, the skill and experience of each doctor and many other factors. Understanding and choosing a prestigious center with a team of experienced doctors in the field of braces is the most important factor that determines whether the procedure will be successful or not. Because once you wear the brace, the result must be anticipated after the long treatment duration. 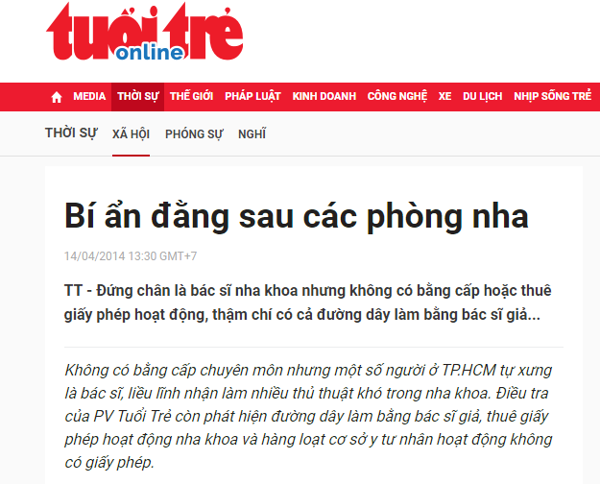 There are many cases of patients after the treatment period (1.5 - 3 years), suffered misery because not only they lost a lot of money, the procedure failed to achieve the desired result. 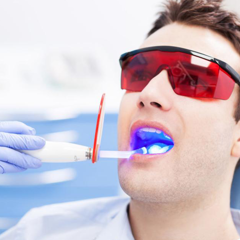 A serie of dental clinic operate without a permit or dentist license. 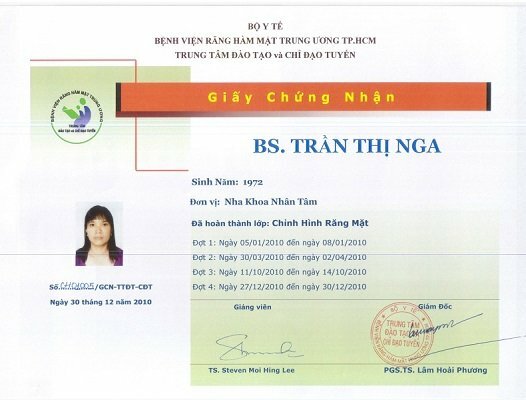 Dr. Tran Thi Nga - Orthodontist and Deputy Director of Nhan Tam Dental Clinic is the first graduate of basic orthodontics course at the National Hospital of Odonto - Stomatology in 2010 and later completed an advanced orthodontic course in 2016. 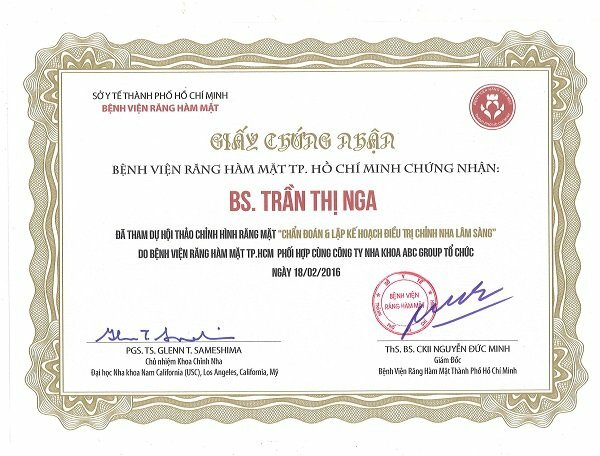 Dr. Tran Thi Nga is also a member of the Vietnamese Association of Orthodontists, attended the prestigious international braces conference, participated in braces course taught by French lecturers. Therefore, Dr. Nga can handle any complex cases. 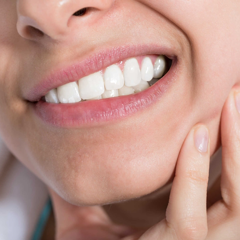 Dr. Nga can treat all complicated cases including bite openings, retrusion or protrusion using TADS techniques, zygomatic screw. 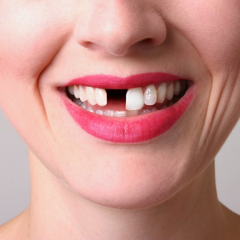 For growth-changing cases, Dr. Nga will limit teeth extraction in retrusion or protrusion patients or combining between growth - change cases with fixed braces treatment, etc. 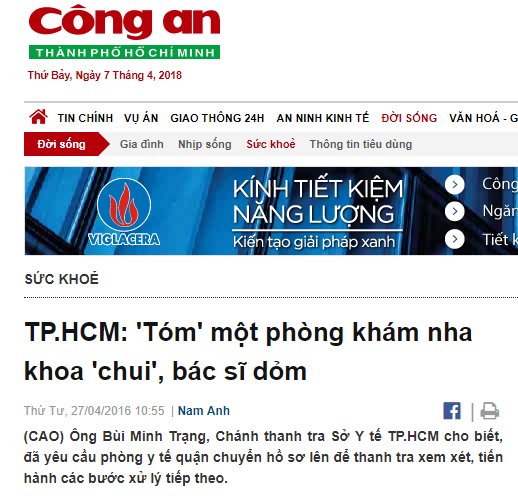 As a member of Ho Chi Minh Association of Orthodontists, Dr. Tran Thi Nga always learn, improve and gain experience to perform braces treatment as effectively and quickly as possible. As an experienced and skilled doctor in the field of braces, Dr. Nga has successfully performed nearly 1000 orthodontics cases, including the most complicated cases. Having a firm grasp of the development and growth of the skull system, understanding the mechanical impact of each instrument, coordinating the equipment usages with the braces software on each clinical case in the most appropriate way in order to provide optimal results for patients. The best advice for those who want braces is: Do not just look at the price list. Nowadays, there are a plenty of dental clinics competing on price, constantly launching promotions, discounts for patients and forget about the Effectiveness - the most important factor to consider in Braces process. Many patients after a long period of braces in poor - quality clinic have to suffer pain and even irreversible complications. In addition to the specialized doctor, the equipment in the clinic is also an important factor in determining the causes of deviated teeth. 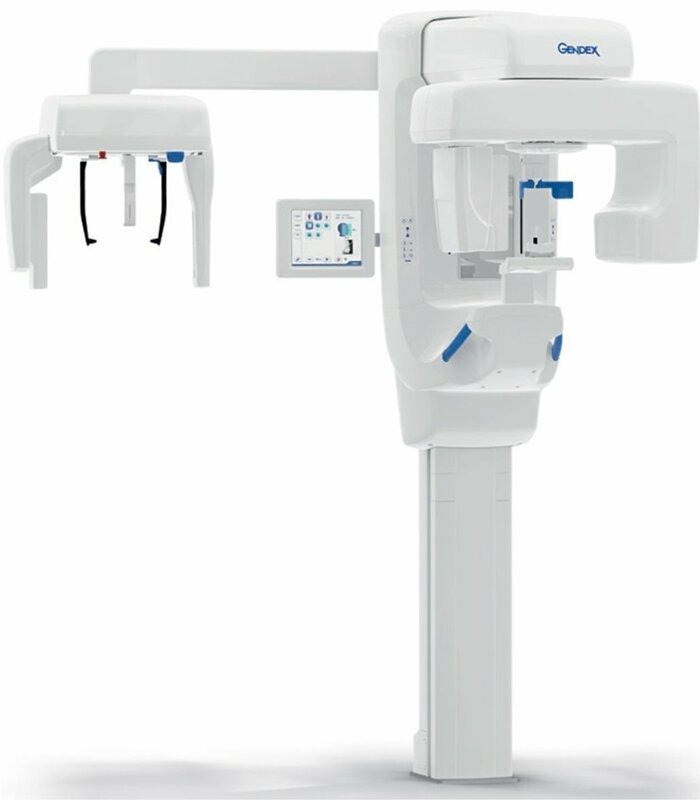 The latest generation 3D Cone Beam CT scan system enables the doctor to accurately and comprehensively diagnose the patient's clinical condition to provide the most effective treatment plan. 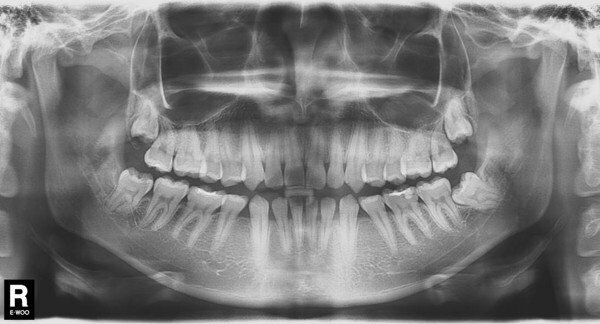 X-rays CT images are important data in the orthodontic process, helping the doctor to thoroughly diagnose the patient's clinical condition to provide appropriate treatment. 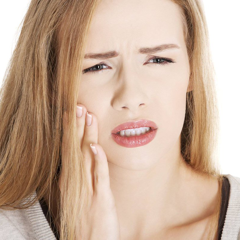 One of the causes of complications in braces is due to faulty diagnostic. Braces are only for dental cases where retrusion and protrusion are caused by deviated teeth. 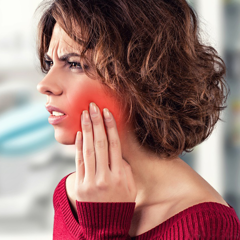 If retrusion and protrusion are caused by the jaw bone then it requires surgical intervention. 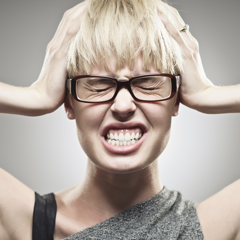 Faulty diagnostic and treatment will lead to agonizing consequences. At Nhan Tam Dental Clinic, X-ray CT scans allow three-dimensional images of the bone structure, along with the experience of thousands of successful orthodontic cases will help doctors analyze, accurately assess and provide patients with an effective treatment regimen. With modern 3D imaging, standardized based on Vceph 3D software, doctors will plan the treatment, analyze the teeth transition, relapse as well as outcomes, to ensure high oral aesthetic results, as soon as possible. 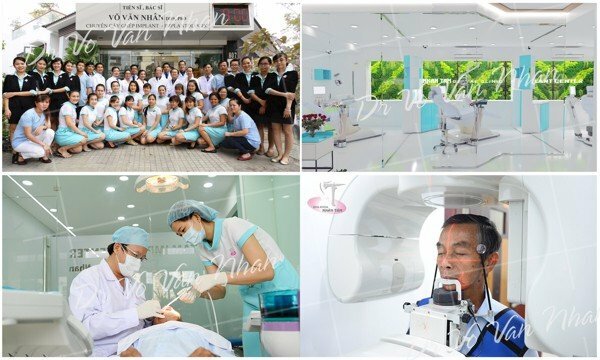 With constant diligent from consultation, examination, scanning to planning and monitoring the treatment process, most orthodontic patients in Nhan Tam Dental Clinic are satisfied with the results beyond expectations. This is also one of the criteria that customers should be aware of when choosing a clinic. During braces treatment, patients will be periodically examined to monitor the teeth movement to avoid any risk during braces such as facial deformities, gum recession, marrow inflammation, etc. The aseptic system at Nhan Tam Dental Clinic always follows the international standard, ensuring absolute safety for patients. 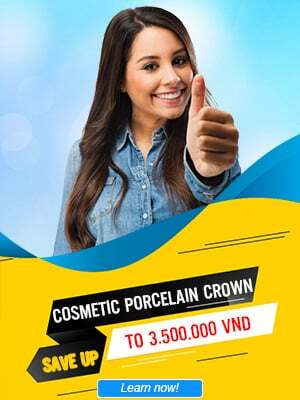 Patient satisfaction is the leading motto of Nhan Tam Dental Clinic. Nhan Tam Dental Clinic with a team of highly specialized and experienced doctors performing orthodontic treatment with the most specialized orthodontic software. Its advanced technology along with a patient-minded caring and monitoring process leads to many impressive results for many patients. 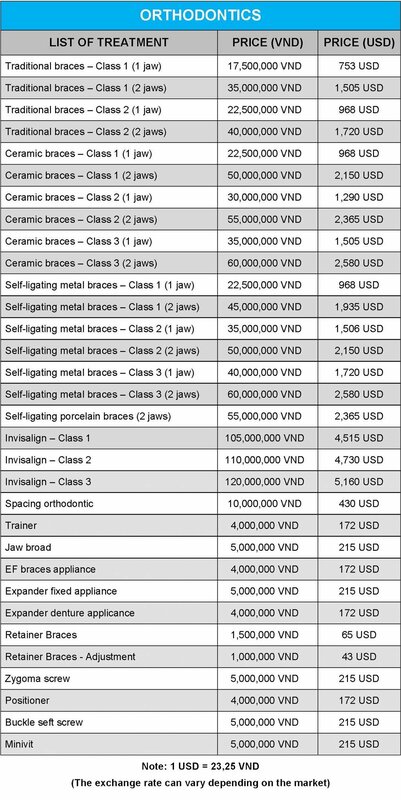 In addition, the price of braces treatment in Nhan Tam Dental Clinic is suitable for most patients. 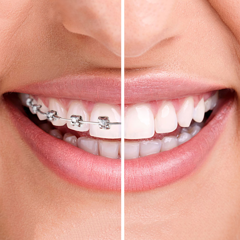 Each type of braces has a different price depending on the material, the doctor's skill, and the technology involved.